Need Help With Asbestos Testing? Asbestos is a naturally occurring mineral fiber that has been used in a variety of building materials for many years. Some common materials that asbestos can be found in are floor tiles, floor adhesive, insulation and roofing materials. Unfortunately, it is impossible to determine whether a certain material contains asbestos or not, just with just the naked eye. The good news is that we have a safe and reliable method for asbestos testing! 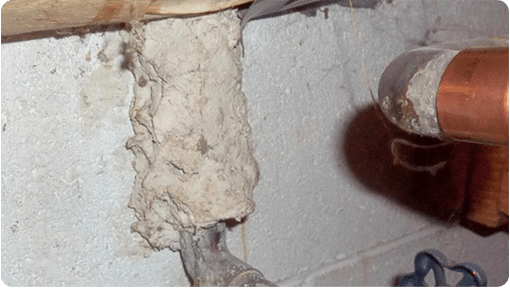 Asbestos exposure often occurs during a home remodel when asbestos containing building materials are accidentally disturbed, sending the tiny asbestos fibers into the air. One of the best times to test for asbestos is before a planned remodel. This is an ideal time to have an asbestos inspector from Wing Three take samples of any suspect materials and have them tested for asbestos. 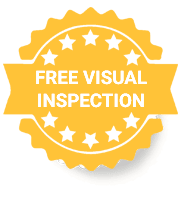 If a sample comes back positive for asbestos fibers, we can also provide an estimate to have the asbestos containing materials and associated health hazards properly and safely removed. 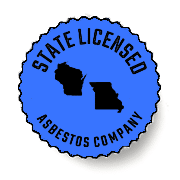 Wing Three is a Wisconsin-licensed provider of asbestos testing with more than 20 years of experience in the industry! Need a quote for a residential or commercial asbestos removal job?